Hearts and Daggers was something of a flop on me, but I also had a little bit of Love and Luck for Women by Ed Hardy. And while I haven’t grown to like the packaging in any capacity, I will admit that Love and Luck for Women was a bit of a surprise. In Bottle: Citrus and fruity, quite nice in a fruit bowl sort of way. If you want fruity and fresh then this is the stuff for you. Applied: Initial flare of citrus followed by a peppery kick thanks to the pink pepper present in thsi fragrance. The scent has a nice clean edge on opening that does rather well when it starts to move into it’s fruit bowl stage. I smell the currants and the nectarine with a mild creamy plum in the middle. The scent is rather pleasant. Not too strong and while it’s generic, it does the fruity genre of fragrances rather well. Love and Luck is a decently blended fragrance and while it won’t win any awards any time soon, it’s one of the better fruity scents I’ve smelled as of late. The dry down gets a bit woodsy but not too much that you would mistake this for anything else but a fruity perfume. Overall, nicely done and extremely wearable with decent longevity. Extra: I’ll admit, I had initially been interested in reviewing this fragrance once I saw the proposed design for the new Ed Hardy fragrance, Skulls and Roses. Mostly I was inspired because the proposed design was so bad. You can view it for yourself at Fragrantica. Keep in mind that the image is currently a composite of a 3D model and a 2D rose so if the image looks a bit odd, that’s why. Hopefully someone at Christian Audigier realizes that the design looks kind of funny and tones it down a little. Design: Love and Luck features the tattoo inspired artwork indicative of most Ed Hardy products. I’m not a fan of the design and I find the plastic cap that covers the glass bottle thing kind of annoying to use. Notes: Bergamot, blood orange, pink pepper, blackcurrant, nectarine, plum, jasmine, sandalwood, cedar, musk, patchouli. Love and Luck for Women has a male counterpart that I haven’t tried yet. I rather like this version and think it’s a competent fruity fragrance. Granted there are a lot of competent fruity fragrances out there. So if you’re shopping for a fruity perfume give Love and Luck a sniff, but don’t worry if you don’t fall in love with it. There are many more fish in the sea. Reviewed in This Post: Love and Luck for Women, 2010, Eau de Parfum. So what do you do when you get a hankering for a fruity perfume? Book it over to Hearts and Daggers and experience the fragrance the least smells like hearts and daggers! This perfume is well-loved amongst the mass market and I can see why, it’s fun, it’s fruity. It’s so painfully easy though. In Bottle: Fruit punch. Yeah. Even in the bottle Hearts and Daggers smells extremely sweet, like you’re taking a whiff of someone’s fruit punch containing as many fruits as they can cram in. Applied: There’s an initial flare of sweet grape and what I swear smells like canned pineapple and mandarins. Then as the fragrance continues to age it throws more fruits into the mix. Berries, apples, mangos, what have you got? We’ll add it in. What’s that? A passionfruit? Why not? Basically Hearts and Daggers crams a bunch of fruit notes into itself so that the progression is so hard to define simply because all the fruit notes end up floating up to the top of the notes pyramid. As a result, this scent suffers hugely from longevity issues. Almost every note it uses is a delicate top note so they’ll fly away rather quickly. When Hearts and Daggers settles down into its dry down phase, you realize there’s something else mixed in with the fruits that you hadn’t realized was there until now. Some sort of sweet floral that I can’t quite put my finger on. I’m going out on a limb here and saying it’s probably the sugar-dipped jasmine missing all its indolic bite to usher out this scent. Extra: Ed Hardy Hearts and Daggers is actually by Christian Audigier which refers to Ed Hardy as the line of perfumes. Well, if there had to be a defining perfume for teenage girls these days, Hearts and Daggers is probably it. It’s fun, it’s easy to wear, it’s way too sweet for me but probably perfect for anyone who enjoys these sweet scents. Just keep in mind that you will smell like fruit punch. Design: Not a fan of the bottle design. 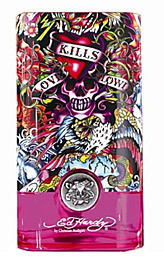 Hearts and Daggers is a hot pink glass bottle with those signature Ed Hardy designed tatoo-esque elements. The bottle has a cap that you put over about 80% of the bottle–sort of like an all body hat for the bottle. 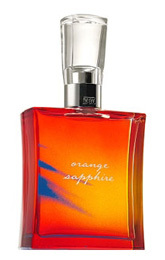 Notes: Blood orange, violet, apple, mango, apple blossom, jasmine, musk, amber, benzoin, blond wood. 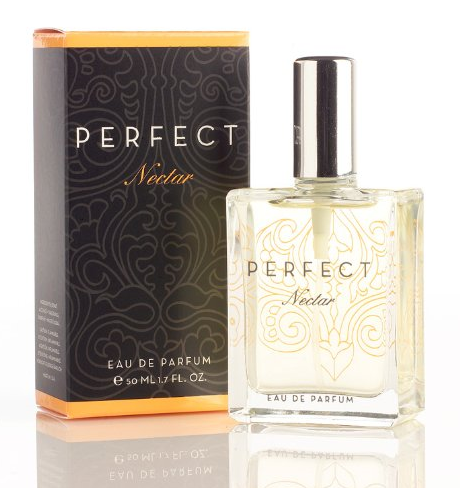 As stated above, despite this fragrance being an Eau de Parfum its longevity is severely lacking due to how most of the notes it’s composed of being delicate fruity top notes. 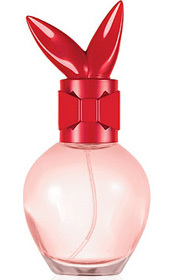 Reviewed in This Post: Hearts and Daggers, 2010, Eau de Parfum. Armani Code for Women is the feminine version of Armani’s very popular men’s fragrance, Armani Code. Armani fragrances usually don’t do much for me in terms of scent but Code for Women is a crowd pleaser in the same vein and competence as Gucci Flora. It’s not a show-stopper with the perfumista crowd but it’s a nice enough fragrance. In Bottle: Pleasant light florals swirling around an equally light, clean citrus topper. Nothing spectacular to see here, folks. Applied: Bright and clean citrus followed by light and airy florals. Easy to wear and sticks rather close to the skin. This fragrance can be sprayed a few times as it goes on really lightly and wears equally as light. After the top notes go away, it smells remarkably like really good shampoo. Clean, fresh, scrubbed sweet and powdery florals make up the mid-stage with no real depth or fanfare. If Armani Code for Women was a shampoo, it’d be a pretty popular–albeit generic smelling–brand. And I think that works for Code for Women. It’s not going to wow anyone into saying, “I’ve never smelled anything like it!” It’ll probably encourage compliments and pats on the back about how nice you smell though and that’s enough for a lot of perfume shoppers. I like Code for Women for its simplicity and cleanness. I like how quiet and well-behaved it is and particularly enjoy the shampoo smell of it too. The dry down is barely detectable and rather predictable as a vanilla woodsy scent. Extra: Armani Code for Women caught my eye sooner than it caught my nose. It was the first readily available perfume bottle I’d seen in a while that could come with a balloon pump atomizer. I thought it was the bees knees but to get the balloon atomizer, you would need to get the Elixir concentration. Given how light and skin close this scent is, that might not be a bad idea. Design: I love the bottle. it’s a beautiful glass bottle with gradients and girly floral designs. It’s a nice marriage between simple and decorative. The whole thing just goes so well together as a package. The sprayer is very good on all of the Code for Women bottles I’ve tried. Notes: Blood orange, ginger, pear, jasmine, orange bossom, seringa flower, lavender honey, precious woods complex, vanilla. I’ve had my eye on Code for Women for a while. A big bottle of it, actually, but I never quite got that extra nudge to actually purchase the thing. It’s nice, it’s easy to wear, but if I already have Gucci Flora, I don’t see the point in owning this. They smell different. They just serve the same purpose which is to be a young, airy, easy to wear scent. Reviewed in This Post: Code for Women, 2010, Eau de Parfum.